We’re back! 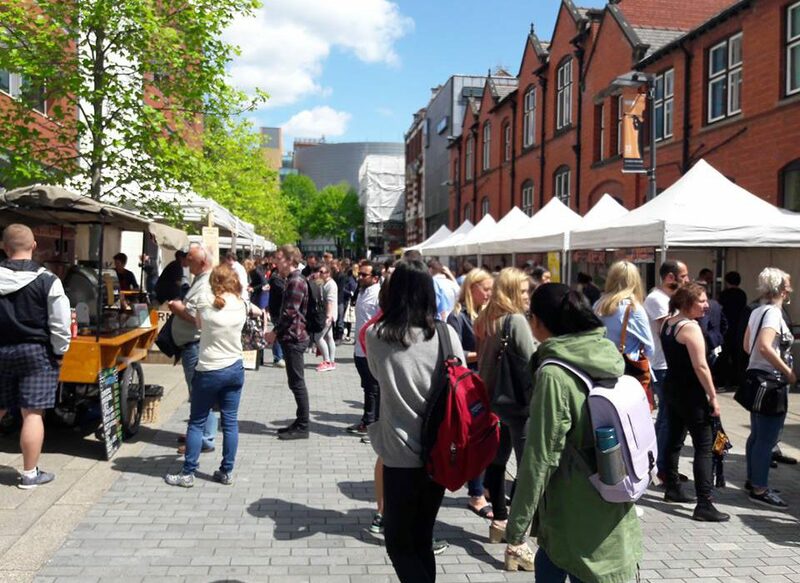 Our first market of the year at the University of Manchester will be held on Tuesday 7th March, 11.30am to 2.30pm, on Bridgeford Street M15 6FH. You can find us just off Oxford Road, next to the Manchester Museum. Foodies of Manchester – we are COMING for you! After a long wait, we’re finally back at the University of Manchester with our much-loved food market. We’ve got 18 stalls of delicious lunchtime scran, as well as bags of brownies, pastries and treats to take back to your desk for later. It’s all made with the freshest ingredients and lashings of love from our dedicated traders. Students, staff and hungry passers-by welcome!